More than 50 years ago, Dr. Robert Guthrie and a colleague made the country aware that newborns could be tested and treated for diseases before they become potentially deadly. In the years since then, all states adopted procedures to screen newborns for at least 29 conditions while they are still in the hospital. Which is why September is known as Newborn Screening Awareness Month. During Newborn Screening Awareness Month, the goal is to raise awareness for the testing so that it can be improved and expanded on nationwide. Within 48 hours of a child’s birth, the hospital administers a blood test that allows them to screen the baby for certain conditions, genetic disorders, and hearing ability, among other things. According to the U.S. Department of Health and Human Services, these tests find treatable conditions in one out of every 300 infants. We use 100% silicone for your Newborn Screening Awareness Month wristbands. In addition to standard wristbands, we also offers super popular slap bands that “snap” to a person’s wrist, as well as thin half-inch bands, thicker one-inch bands, adjustable bands, USB bands, silicone rings, and silicone key chains. All our silicone products are made of 100% silicone so they are comfortable, durable, and non-allergenic. 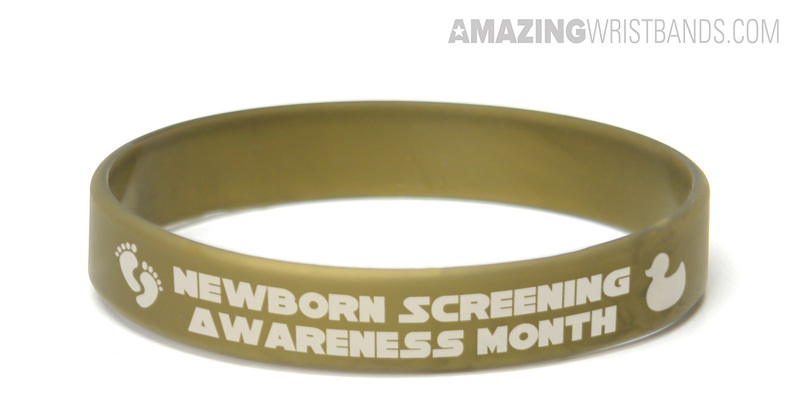 Build your own Newborn Screening Awareness Month wristbands online! 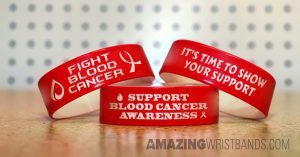 How To Support Blood Cancer Awareness Month? Start to design custom silicone bracelets now! 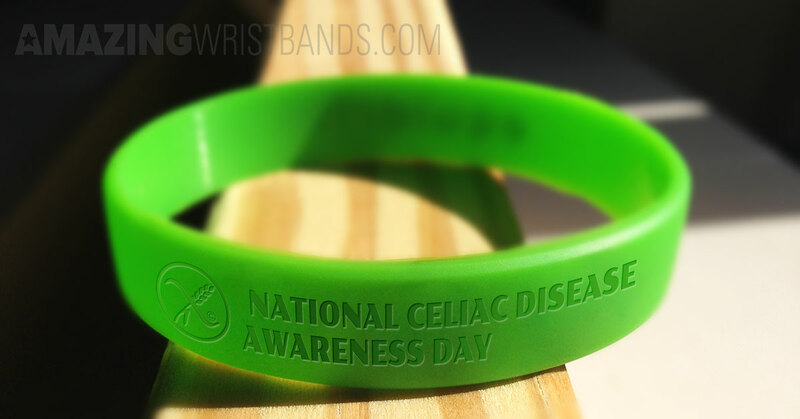 On September 13, people around the country will observe National Celiac Disease Awareness Day. The date was chosen because it marks the birthday of Dr. Samuel Gee, a British doctor who first linked celiac disease with diet. On this day, many support organizations urge people to understand the health benefits of gluten-free diets, especially to those who have celiac disease. Start to design personalized wristbands now!